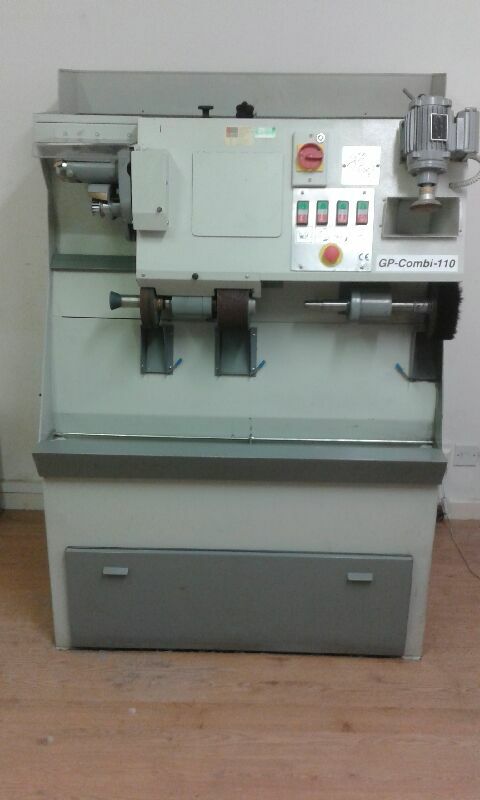 GP Combi 110 plus accessories,lightly used, single phase. Any offers welcome. The Algeos Technician of the year award – please note the deadline for entries is 30th January. So if you know a technician that goes the extra mile please take a few minutes to nominate them – three lucky winners will share our £1,000 prize fund and gain free entry to the technical clinical programme at the BAPO Conference 2017. Visit the Algeos website for further information on the range or to request an information pack. Now available from Algeos. We have received some great reviews on this product, which also comes with a moulding dummy and heel bumper. Sample packs are available on request. A Algeo Ltd (Algeos), the UK-based global medical technology company and leading NHS supplier, announces the appointment of a new CEO, Jackie Fisher, who for the past 12 months has been the company’s financial director. A team of five cyclists have raised over £2,000 by completing a gruelling 100 mile cycle challenge in just 11 hours in aid of Blesma, The Limbless Veterans last week as part of the charity’s annual ‘Blesma Week’ fundraising and awareness initiative. The challenge was organised by Rob Chatfield, Managing Director of OpCare, the largest provider of prosthetic services to the NHS in the UK and led by Dereck Cutler of DC Cycleworks of Milverton, Somerset. On Wednesday 3 June, Rob set off from the Exeter Mobility Centre along with colleagues and supporters including Blesma Member Jez Scarratt, and Blesma Prosthetics Officer Brian Chenier, to cycle 100 miles to the Bristol Centre of Enablement, via Cheddar Gorge. The money raised from this challenge will go towards Blesma’s vital work supporting injured veterans to lead independent and fulfilling lives. Blesma, The Limbless Veterans is the national charity for all limbless service men and women, their widows and dependants. It was formed in the years following the First World War and became a national charity in 1932. 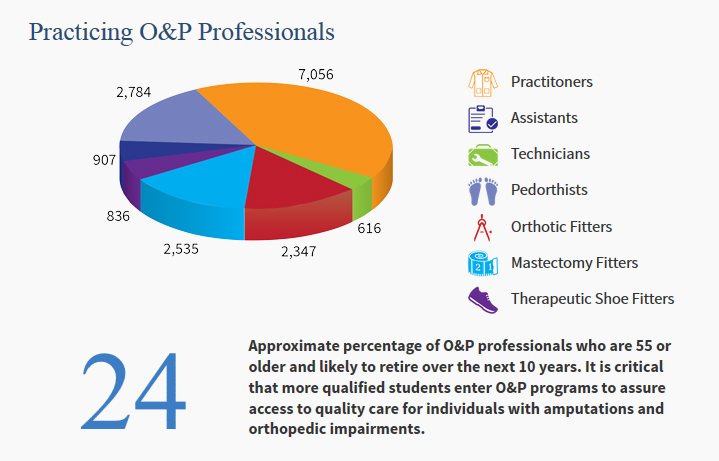 25% of USA O&P Professionals to retire in next years! Picked this up from OPCareers. Almost 25% of USA O&P Professionals to retire in next years, while market needs continue to grow. Please click on the link below to see a picture story about a US solider and his journey to walk again after suffering devastating injuries in Afghanistan. In June 2012 Sgt. Matt Krumwiede was on patrol in Afghanistan in 2012 when he stepped on an improvised explosive device which tore away both his legs, damaged his left arm, and ripped open his abdominal cavity. Since then he has undergone dozens of surgeries and spent time recovering at Brooke Medical Center in San Antonio, Texas, learning to walk again with the use of prosthetic legs. In June 2014, he visited to his hometown of Pocatello, Idaho for the first time since he was injured. “Phantom limbs” have long been a mystery. Early theories saw them as proof of the immortal soul or part of the Freudian mourning process for the amputated limb. Nowadays, the standard explanation is that the ghostly appendages – which lurk painfully in place of amputated ones – result from confusion in the brain’s map of the body. In a new study, Israeli and Albanian researchers have found the primary source of phantom limb syndrome in nerves near the spine – and managed to alleviate the associated pain. Their work proves that phantom limbs are not “imagined” in the brain, but “felt” in the body. A version of the procedure used in the study, which is to be published in the journal Pain in May, could soon improve quality of life for millions of amputees. Limbs have been getting lopped and blown off – whether from war, mishap or surgery – since antiquity, with some people always managing to survive. Ancient Egyptian mummies have been unearthed wearing prosthetics; and Roman general Marcus Sergius switched to fighting the Second Punic War left-handed after losing his right one (and replacing it with an iron prosthetic in the style of fictional knight Jaime Lannister of HBO series “Game of Thrones”). 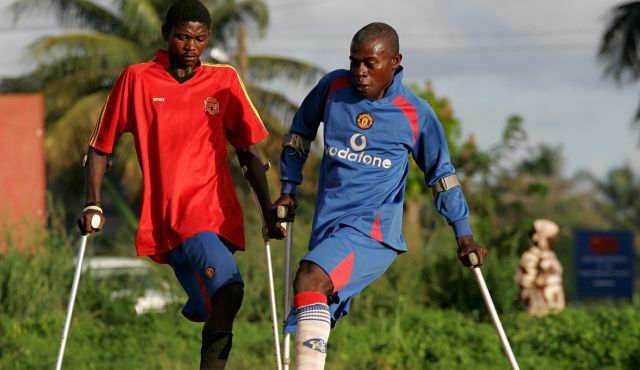 There are an estimated 10 million amputees in the world. Pretty much all of them experience phantom limb syndrome – the perception of sensations in a limb that has been amputated – and up to 80 percent suffer from pain in the limb. Phantom limb pain, which can be shooting, stabbing, burning or electric shock-like, usually eases in frequency and intensity over time – but may never go away. Skeptical of conventional brain-centric explanations of phantom limb syndrome, Devor and his colleagues set out to test another neurobiological theory: that phantom limb syndrome comes from the nerve fibers that used to run to the amputated limb. Guided by medical imaging, the researchers injected 31 leg amputees who suffered from phantom limb syndrome – 16 in Albania and 15 in Israel – with local anesthetic near where the nerves from their amputated legs enter the spinal cord in the lower back. Within minutes, phantom limb sensation and pain was temporarily reduced or eliminated in all the amputees. Control injections had no effect; nor did numbing nerves in the stump in the few cases tested. The results of the study establish that phantom limb syndrome primarily comes from the nervous system at or below the spine. If the sensations were coming from the brain, the injections would have had no effect. The most likely culprit is the dorsal root ganglion, a cluster of neurons that carries signals from the body to the spinal cord, from where they are transmitted to the brain. The researchers say these neurons, which were the target of the study, probably begin terrorizing the brain with abnormal signals when the limb they innervate is amputated, causing the pain and other sensations characteristic of phantom limb syndrome. The anesthetic appears to block signals associated with the phantom limbs from reaching the brain. As the ultimate organ of sensory perception, the brain plays a role in phantom limb syndrome, and may even originate some of the symptoms. For instance, the common sensation that a phantom limb is withdrawing, or “telescoping,” into the stump over time may be due to maladaptive plasticity – the shrinking of an area of the primary somatosensory cortex that once sensed the real limb. Where most scientists were wrong, it turns out, was in thinking this theory explains phantom limb syndrome and pain entirely. “The dismantling of phantoms via the silencing of these ‘terror cells’ is in my mind a death blow to the brain theory of phantom pain and a call to industry to join forces with scientists to find new treatments for neuropathic pain,” said Dr. Haim-Moshe Adahan, who ran the Israeli trial at Chaim Sheba Medical Center at Tel Hashomer’s Pain Rehabilitation Unit and is working on a follow-up study to extend symptom relief using steroids. Amputees have come so far that a sprinter who lost both his legs qualified for the last summer Olympics, Adahan notes. What hasn’t improved significantly is treatment for phantom limb pain, which he says continues to haunt Israeli soldiers and other amputees he treats. Thanks to the study, doctors may for the first time in thousands of year be able to “amputate” phantom limbs, offering relief to many. Like most dog owners, Kris Dexter thinks her dog is pretty special. But aside from the Golden Labrador’s great demeanor and beautiful coat, Missy has a bit more going on in her life. 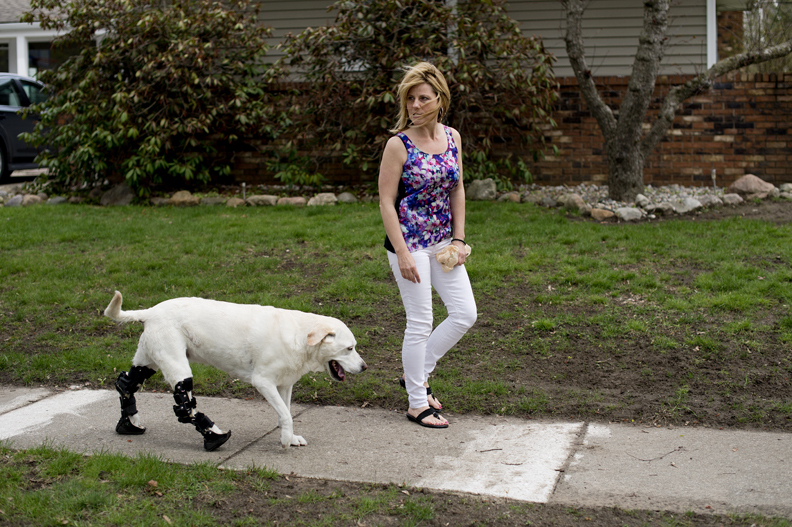 “We call them her shoes,” Dexter said, holding up one of the custom orthotic leg braces Missy wears on her back legs. The braces, which look a bit like a walking cast a person would wear, were custom made for Missy. The dog has common calcaneal tendon degeneration in her hind legs. Missy has trouble standing and when she manages to get to all fours, she is not very steady. Walking is difficult for her, and Dexter said she can stumble and fall, something that keyed the family off that something was wrong with their furry friend. In 2012, Missy was diagnosed with her condition, along with the news surgery would not help her. Dr. Dan White, of Animal Medical Center of Midland, is Missy’s primary veterinarian. When he saw the condition ravaging Missy’s legs, he referred her to the Michigan State University Veterinary Clinic. The staff at MSU told Dexter Missy was a good candidate for orthotics and from there, Dexter reached out to OrthoPets in Denver, Colo.
“Missy was Dr. White’s first orthotics patient,” Dexter said. Dr. White took the time to work with OrthoPets to properly cast Missy’s legs and get her ready for her new orthotics. There was a learning curve for Missy at first, but she has certainly got the feel of her new shoes. OrthoPets, the designer and manufacturer of the devices worn by Missy, started in 2003 when Martin Kaufmann tried to find a way to help the pet of a family member avoid an amputation. With a background in human orthotics and prosthetics, Kaufmann designed a device for the animal with great success. Later, Kaufmann began to apply his talents to the world of animal medicine. “All of our products are made right here in Denver, and we ship them all over the world,” said Silver Stebbins, certified veterinary technician and case manager for OrthoPets. Stebbins said all of the devices are custom made, something that requires vets to cast molds of the limb that needs attention. She said the need for such devices continues to grow around the world, and the range of animals helped with the devices is increasing as well. But there is more to helping an animal than just fitting it with a device. Missy is in just such a program. Dr. Tari Kern of Pawsitive Steps Rehabilitation & Therapy for Pets in Rochester Hills (www.pawsitivestepsrehab.com) offers services to help ailing and aging pets. “Missy is a great dog. She is just so happy to be up on her legs walking,” Kern said of her patient. Kern’s practice is unique in that it deals specifically with the rehabilitation of pets, and her facility is one of only three in the state that deals exclusively in that field. Through many different avenues of therapy, including acupuncture, massage, thermotherapy and hydrotherapy, Kern and her team do their best to bring injured or aging animals back to their full potentials. Missy has gone through acupuncture and hydrotherapy while in Dr. Kern’s care. Kern said animals seem to roll right along with the punches life throws at them. “With an animal, if they lose mobility, they don’t seem to mourn it,” Kern said. “They just adapt and find new ways to move or live.” It is this tactic that makes orthotics or other adaptive devices work so well for many animals. Kern said one of the hardest parts of her job is finding out where an animal is hurting. “They can’t tell you what is hurting, and they are the masters of hiding their discomfort,” she said. She went on to say that signs of injury or pain, like a favored limb or lack of normal physical behaviors, are good signs that a pet may be in pain. Missy can walk just about anywhere with her orthotics, even in snow and in water. “She loves to go swimming,” Dexter said. Since she has become used to her orthotics, Missy goes on about three walks a day. Neighbor Ed Stapish is always in his yard when Missy stops by for a visit. “Did you know this dog can do arithmetic?” he asked. Stapish asked Missy if she can add two and two. “OK Missy, what is two divided by one,” he asked the dog, who stared at him intently, her head cocked to one side. When Dexter and her family are working or away, Missy is in the good hands of neighbor and surrogate mom Diane Stewart. Like most pet owners, Dexter said the animal in her charge has become a member of the family, and they wanted Missy to be as happy and healthy as they could make her.